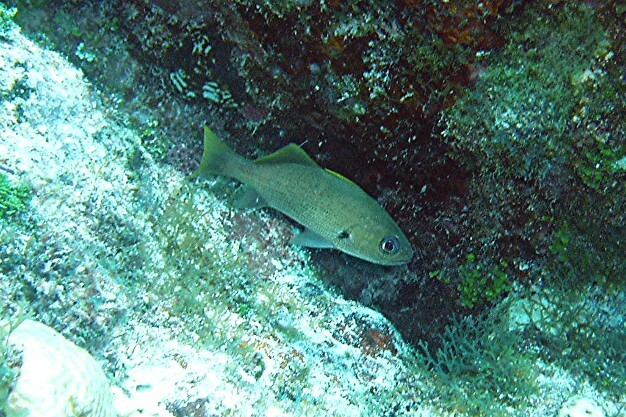 This is a Reef Croaker about 6 inches. Photo by Rod 18 March 2006. 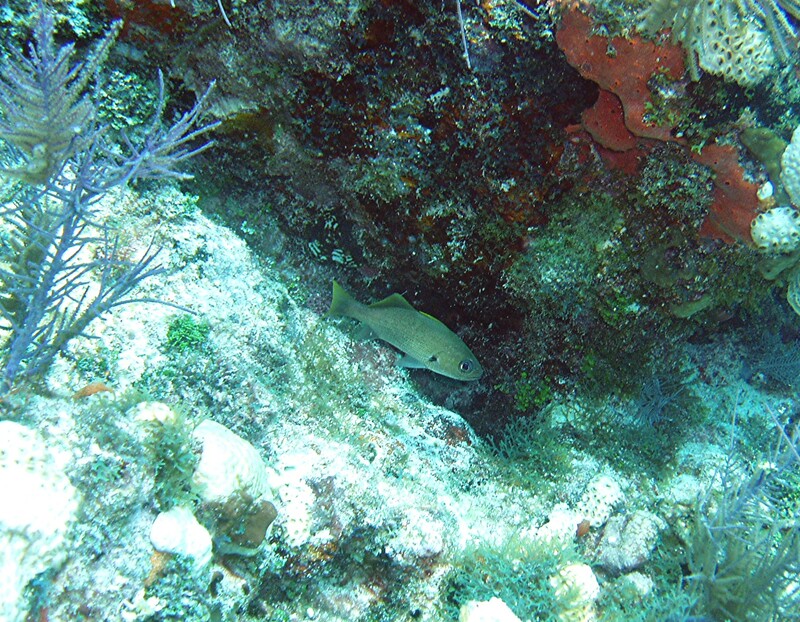 Location , North-North Dry Rocks, Key Largo in about 20 feet water. I reduced picture size so they would be visible on your screen. Just click on thumbnail for app. 6 x 4 picture, and filename for full size picture or more info.